Trade Union Regional Officer. I blog in a personal capacity about casework and industrial issues I've dealt with. Unions, collective bargaining and employment law. 445 loyal workers at Burton Brewery face the sack sometime after the 14th June – with reinstatement on worse new terms and conditions of employment. They all face “individual consultations” with the leadership team as part of this dismissal process. Management say workers will not be sacked if they accept the company proposals. Everybody faces having the site-agreement for 2 year shift-pay protection being unilaterally taken away without consent. Management propose zero compensation for slashing terms and conditions in this way. Part of the new conditions would mean the forced introduction of the hated “flexible operating agreement”, where anything and everything workers do can be changed at the drop of a hat. This includes being forced from days to nights at 23 hours notice. Weekly-paid face the forced introduction of four weekly pay. Unite cannot understand why this has been slipped in as part of a macho 90 day consultation process, when a sensible discussion would have been more appropriate. 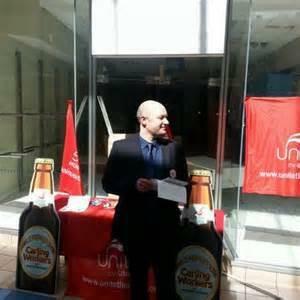 Molson Coors say they wish to make changes to the site agreement with Unite. This is the workers “book”. This contains all the site agreements, hard won by previous & existing generations of Burton Brewery workers. There is a clue in the name….”agreement”. The site agreements are a matter of honour between Unite and the company. It is outrageous that they are proposing to unilaterally change “agreements” – and do so via force. Unite have demanded details of exactly what it is they are proposing to take out of the book. At the moment, workers really don’t know as the proposal doesn’t make it clear. Two of the site agreements – on pay rates for Warehouse and Inventory Control, have been torn up by management as part of these proposals. We have told them this is an unwelcome and provocative move. I especially feel for the workers with 30 plus years loyal service. It's hard for them to take that the employer they have grafted for all this time is prepared to sack them now to get it's own way. With sadness and determination, our members know what to do. They know to VOTE YES to action. I believe they will stand strong against the greedy bullies. Molson Coors - "World Class"?